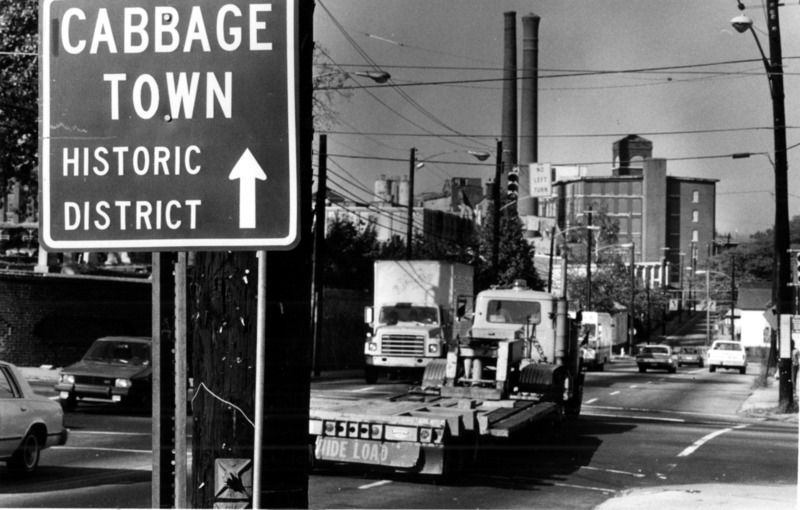 Cabbagetown is the neighborhood south of the CSX line and bounded by Oakland Cemetery on the west, Pearl St. and Reynoldstown on the east and Memorial Drive on the south. The neighborhood of small houses packed close together began as a milltown, built up around the Fulton Bag and Cotton Mill in the northwest corner of Cabbagetown. The mill was converted into lofts beginning in 1995 which has helped promote a dramatic revitalization of the neighborhood. It is listed on the National Register of Historic Places. Little’s Food Store & Grill – basic groceries (like wine and beer) or belly up to the counter for amazing burgers. Milltown Tavern – not just another neighborhood sports bar, you can get bagels for breakfast here as early as 7:30! 97 Estoria – right when you emerge from the Krog Tunnel… ahh, a beer. Mystic Lotus Yoga – this perfect-sized yoga studio is next door to the bar so… you got it, beers later. Sweet Cheats – coffee and sweets shop right in the middle of Cabbagetown across the street from Cabbagetown park. That’s when I realized what I was looking at wasn’t a story as much as a song… They’re just tunes that have been passed around; one person will add a verse or get rid of one, change a word or two here and there. Looking at the stories in Cabbagetown Families, Cabbagetown Food, you can see how one person keeps the tune and changes the words, adds their own verse, and gets rid of one they didn’t like. Apparently, the song is still being sung. Early 20th century store in Cabbagetown. The area’s first industry was an iron foundry along the railroad on the site of the current Fulton Bag and Cotton Mills. Atlanta Rolling Mills, as it was called, was destroyed in the Battle of Atlanta, however, and the area remained sparsely populated until Jacob Elsas, a German Jewish immigrant, began operations of the Fulton Bag and Cotton Mill, in 1881. White labor was recruited from the North Georgia hill country and the company began building housing for the workers closely surrounding the mill. The first houses were known as the “Factory Lot” but no longer exist. Some of the oldest remaining houses today are from the late 1800s and stand along Reinhardt and Carroll Streets. These are primarily four-square apartment buildings in the shadow of the mill buildings. Houses such as shotguns, saddlebags, and early 20th cottages prevail elsewhere in the neighborhood. Much of the housing was without plumbing and electricity until the 1940s and 1950s. The mill village contained a park, school, and baseball field, as well as several neighborhood commercial centers that are still there today: at the north end of Cabbagetown Park on Kirkland Ave., at the corner of Wylie and Estoria, and the primary district near the mill along Carroll St. In the fashion of similar paternalistic Mill owners of the times, the company maintained the entire neighborhood, and provided garbage, security, medical, dental, library and nursery services for its employees. When the Elsa family sold the mill in 1957 the residences were offered to their respective tenants. Those buildings not bought were sold in groups and the mill remained in operation until 1977. The neighborhood declined significantly after the close of the mill. The 1980s saw an influx of artists including photographer Raymond Herbert, known as Panorama Ray. The neighborhood was growing once again and many of the new residents aspired to make Cabbagetown into the new Atlanta art scene. In 1995 Aderhold Properties bought the vacant mill complex and began converting it into loft apartments. Development has picked up significantly since the Fulton Mill Lofts were completed. Cabbgetown is now home of a unique mix of families, artists and professionals, and both seasoned and new residents.